I kinda won a recipe contest Monday? Yes. I am still in shock. I mean it when I say I had 0 expectations of winning. Everyone had such amazing, beautiful, delicious desserts, so I am just humbled. I am so so thrilled that I did win, though-definitely a highlight of my time as a baker/food blogger :). I decided to make pie. In my head, shortbread is warm and comforting tasting. So I thought that vanilla and honey were two flavors that would compliment that. And then I sort of just had a vague idea of what to do. And then I decided to just wing it the Sunday before the contest. Because I'm insane, I guess? A buttery shortbread crust with honey and peanut butter (although 1 judge, Corina, suggested omitting peanut butter from the crust, as it can overwhelm the other flavors-so feel free to mess around with it). 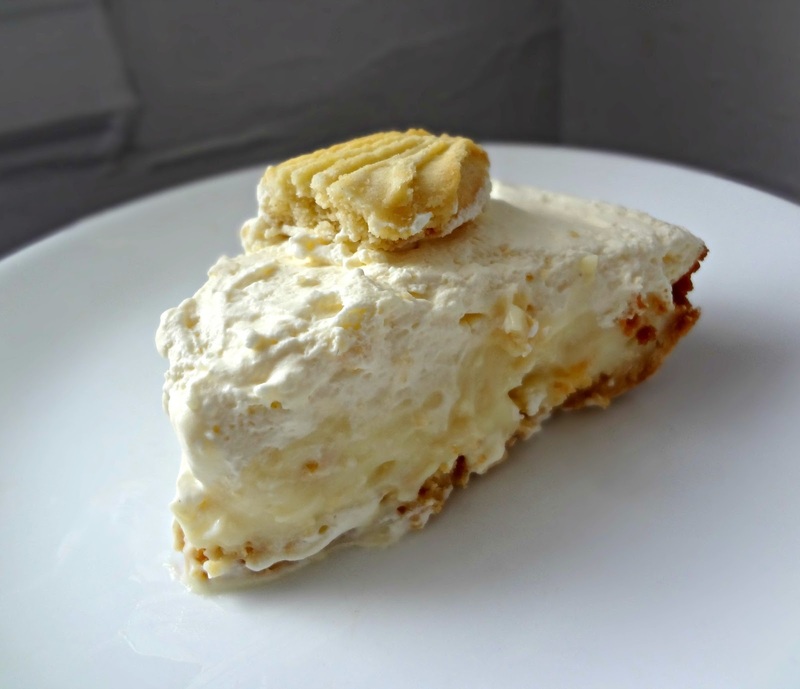 A rich, vanilla-honey pudding filling. The aforementioned judge, Corina, said it was like "eating a hug", and she made an audible noise of happiness when she took a bite. Best compliment ever :). Oddly enough, the first time I tasted the entire pie together was while at the contest. I was pretty happy with it, tasted good to me. And Michael really really really liked it (he said it was extremely flavorful without being overwhelming). You will too. 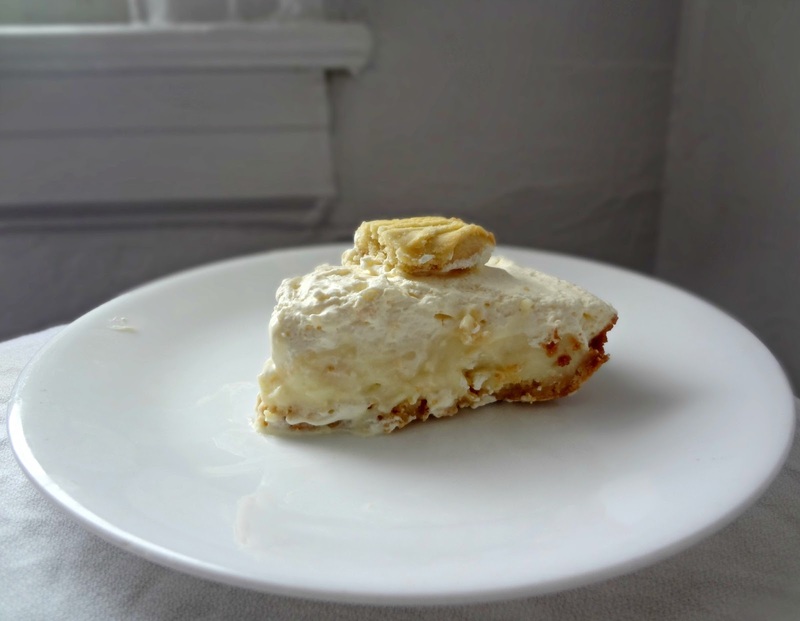 It is pure joy in pie form. I've got a ton left over, feel free to come on over and have some. Spray 2 nine inch pie pans with non-stick cooking spray. Preheat oven to 350 degrees. In a food processor (or blender) process the shortbread until thoroughly ground into crumbs. Add butter, peanut butter, and honey to the crumbs and process until combined. Evenly divide between the pie pans and press down into the pan and up the sides. Bake for 10-12 minutes, until the crust is beginning to turn golden brown. Remove and allow to cool completely. Whisk together 1 cup milk, salt, vanilla extract, egg yolks, and cornstarch until smooth. In a saucepan heat butter, sugar, and 3 cups milk on medium heat, stirring constantly, until scalding (just before it boils). Pour in the cornstarch mixture, whisking constantly. 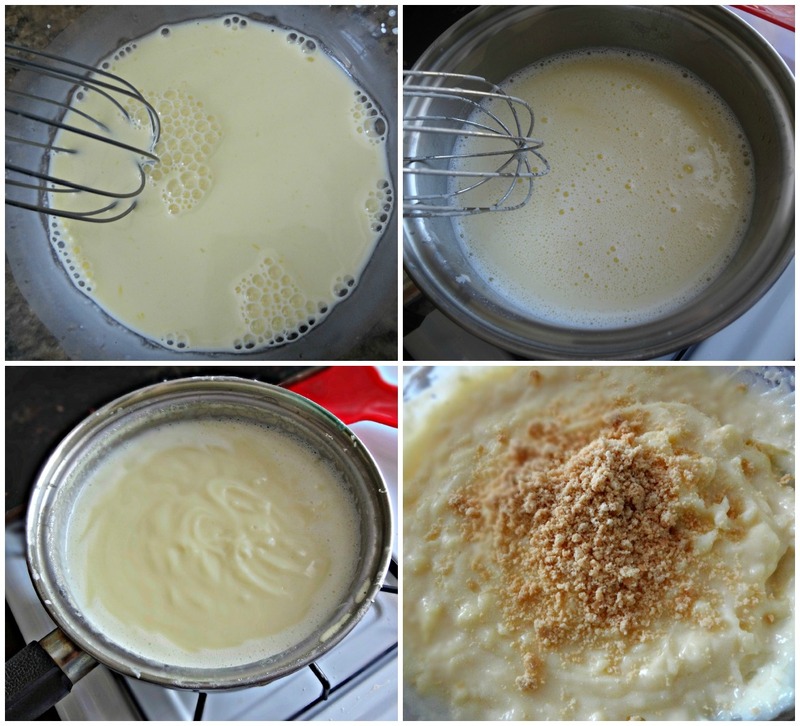 Cook until it has thickened into a pudding consistency, just before it starts to boil. Remove from heat. Whisk in the honey. Store pudding in the refrigerator until cooled completely. Evenly divide filling between the 2 pies. 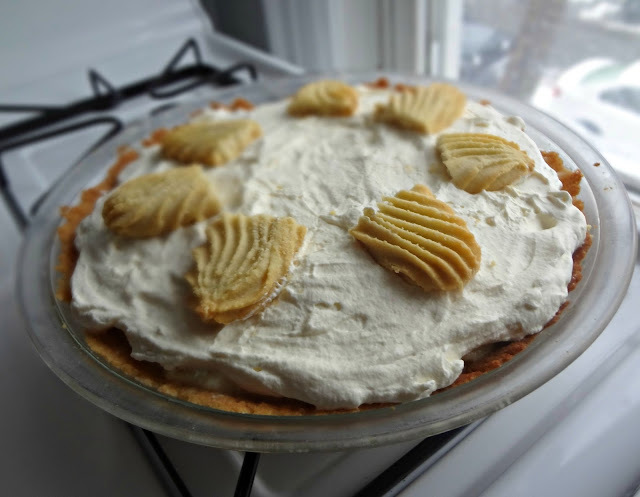 Smooth desired amount of whipped cream/whipped topping onto the top of each pie. 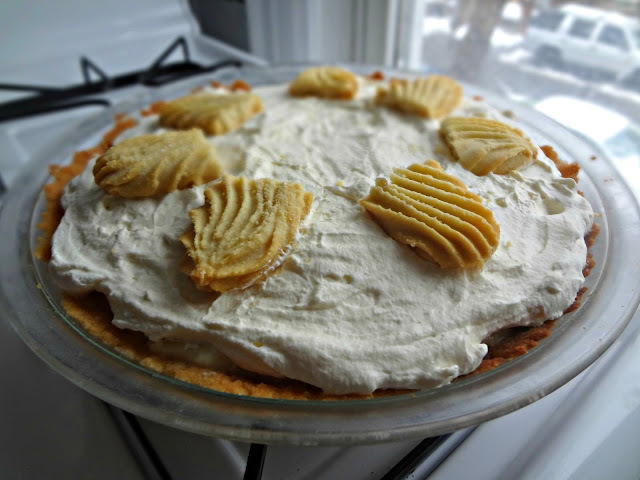 If desired, use whole shortbread cookies, or cookie crumbs to place/sprinkle on top of the whipped cream. Store in the refrigerator and serve chilled! 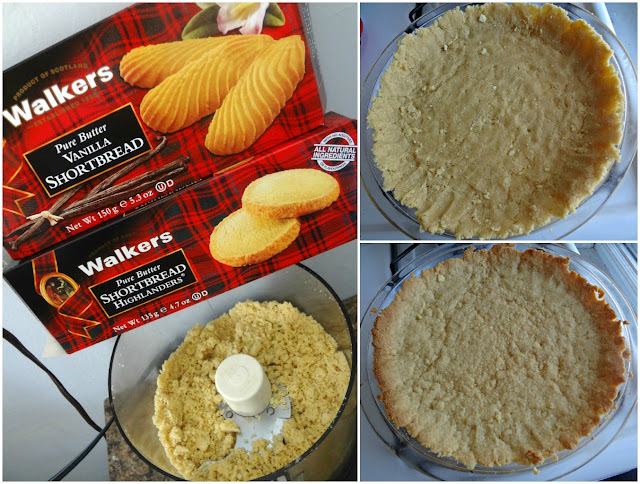 Disclaimer: Walkers Shortbread provided me with product (to develop a recipe for a recipe challenge), and I was under no obligation to provide a positive review. My opinions, as always, are all my own. As the winner of the challenge, I was also awarded additional prizes.